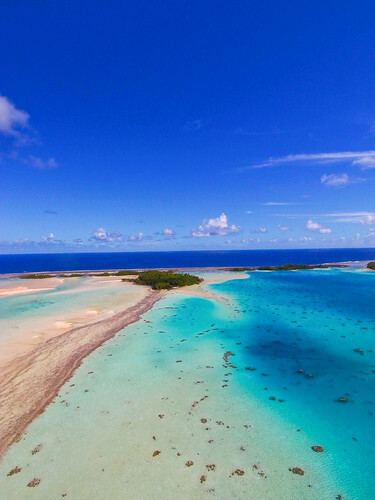 Blue Lagoon, Rangiroa seen from a kite, originally uploaded by Pierre Lesage. A great Kite Aerial photography session with some very stable SW wind (15-18 knots). I launched the Fled, even if the wind was a bit too strong, but since it was very stable, I could get a very impressive lift.